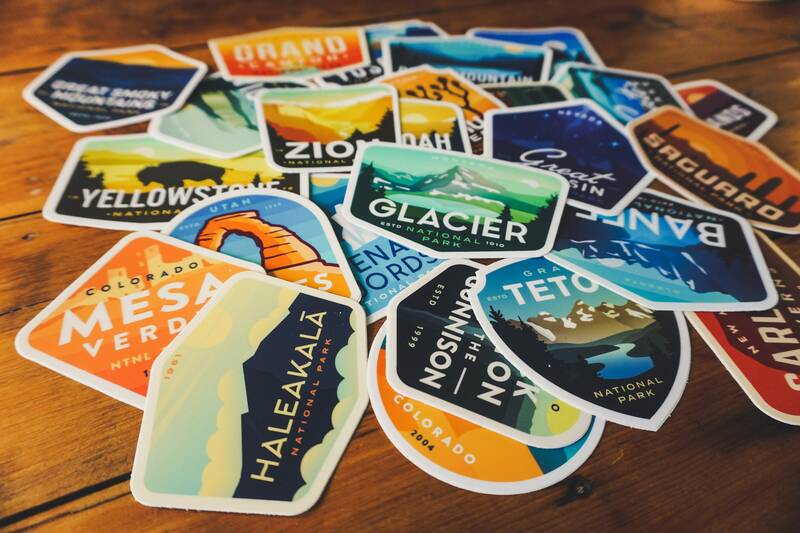 Choose 3 National Park Stickers and save $1! This pack was created to help celebrate the beautiful and unique National Parks of America. Each sticker was designed by the Eiman Design Co. and are made of a durable vinyl. Please specify in the comment section which 3 stickers you would like to purchase from the list below. You can specify by number or park name. If no comment is made, I will randomly choose 3. * Not pictured in main image. See additional images. Beautiful work and very durable vinyl! These look great on my SUV and I look forward to ordering more when we are able to visit those parks!